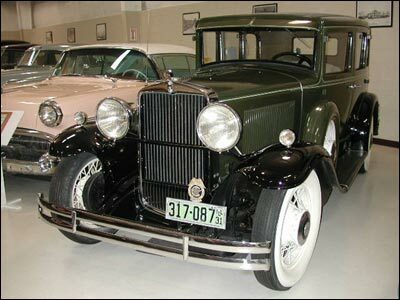 This is the “Century Eight” light weight sedan, designed for performance and easy handling. Selling Price: $1,295. (quite a bargain in its day). Stored in a barn for many years, this car was purchased at an Iowa farm auction in 1960. A four year off frame professional restoration followed with total disassembly of the engine, transmission and entire car. The car’s built-in quality and the care with which the restoration was performed more than thirty-five years ago is evident today. The car performs well. It is comfortable and dependable. It has been driven several thousand trouble-free miles on vintage car tours.